It is a delicate art and it takes time. Learn how to build quality relationships from the ground up and how to get the right people interested in you. Spend time targeting relevant contacts rather than networking for the sake of numbers. Social Media – The advantage goes to candidates using Linkedin, Twitter and Facebook and who establish strong networks in their areas of interest and expertise by sharing their ideas with relevant people. 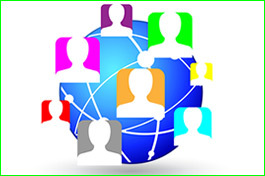 Meetings – As you develop and enhance online connections with the right people, aim to secure a meeting face-to build referrals and endorsements. Relationships – Build a solid base of contacts and ambassadors by fostering fruitful, information-sharing relationships, and never request help finding a job in your initial communication. In this video Nathan Perez walks you through the five simple steps that make up proper job search networking meeting. Nathan Perez also demonstrates the 20 minute networking meeting process with examples. The steps of a successful networking meeting.